Mrs. Bruffey was born Melody Ann Hester, in Tripoli, Lebanon, to missionary parents. She lived in Tripoli for 14 years. Her mother homeschooled her in English, all subjects, and she attended a girls’ school for reading, writing, grammar, and spelling in Arabic. When she was 14, civil unrest erupted in Lebanon. After an attempt on her father’s life, he decided to take the family back to the US for a few months, till the fighting stopped. However, the conflict turned into a decade-long civil war, and less than a year later, the Hesters were on their way to Sydney, Australia, where Pastor Hester would begin another church among Arabic speaking immigrants. Melody realized she was a sinner and accepted Christ’s redemptive work at the cross at a young age. She was baptized by her father in his church in Tripoli, Lebanon. Melody began teaching Sunday School before she was a teenager and discovered she loved teaching. At the end of high school, she attended business college in Sydney before coming to the United States. She studied at Baptist Bible College in Springfield, MO, for three years, and then finished her teaching degree at Liberty Baptist College. She completed her masters degree at Bob Jones University. 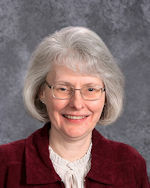 Mrs. Bruffey has taught junior high English in Delaware, Pennsylvania, and Minnesota. She has also maintained a private piano studio for almost 20 years.